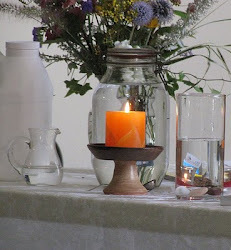 UU A Way Of Life: Morning meditation - That small voice within: are you listening? Morning meditation - That small voice within: are you listening? "A man should learn to detect and watch that gleam of light which flashes across his mind from within, more than the lustre of the firmament of bards and sages." Ralph Waldo Emerson in Self Reliance. The airwaves are full of pundits. Rush Limbaugh tells his listeners they need not listen to the news because "I will do your thinking for you." Public schools crush any independent thought with their exams and grading systems and students live with anxiety and test phobia trying to come up with the "right answers". The American people are so stupid that they not only once, but twice, voted for two DWI offenders to be President and Vice-President of the United States. They have been duped into foreign wars based on lies and deceit and persuaded to give up their civil liberties with promises that a plutrocracy "will keep you safe." The pharmaceutical companies have pills now for every human condition from urinary frequency, to restless leg syndome, to malaise. Children are being diagnosed with Bi Polar illness so they can be given powerful neuroleptic drugs which fatten the coffers of the pharmaceutical industry and the psychiatrists who comply with the pharmaceutical salespeople by dreaming up questionable diagnoses. Churches tell congregants that they too can be rich if they only know "the secret" which is to imagine in your mind the very fantasy which excites you like a 4 year old child believing in Santa. They have turned God into a vending machine and sell fantasies of wealth and happiness complete with rock music and charismatic showman pretending to be representatives of god. Most mature people know better but have come to doubt themselves. The whole point of advertising and public relations and marketing is to get people to disregard that small voice within which says that this can't be right. It is so easy to disregard that small voice within when there is such flashy and noisy stimulation from without. Emerson says, pay attention. You know more than you give yourself credit for. You are being conditioned by external forces which don't have your best interest at heart. Emerson's insight gives us hope that deep down we already know the truth. We just don't pay attention enough because we are so distracted and overstimulated. And so, pay attention to that inner compass. Find a spiritual companion who understands, who cares, who will give you honest feedback about what seem to be your most genuine and sincere intuitions. Unitarian Universalism has values which support this work of inner transformation. UU says that the voice of conscience is primary, and it encourages the free and responsible search for truth and meaning. UU teaches that every person has inherent worth and dignity even if they don't come up with the right answer expected by those representing the dominant discourse of the day. Unitarian Universalism promises us that there is grace available from the transcendent if we want to plug in. UU says that there is not just one place to plug in but many and these outlets are to be included in our listening not disregarded as a threat. UU says that the real Atonement is not blood sacrifice but the At-one-ment, the integration of humanity with all of life in a world community of peace, liberty, and justice for all. But it all starts with listening to our inner voices. God works though us in the world and we will know the way if we just listen and watch for the gleam of light, the sparks of the divine, the grace that is always there, but usually overlooked because we believe that the answers are out there. Jesus said, the kingdom of god is within us. It seems that Emerson believed the same thing. Thanks for this blog. A teacher gave me at a young age a great gift. He taught my class about self disipline. Self reliance is a close cousin. 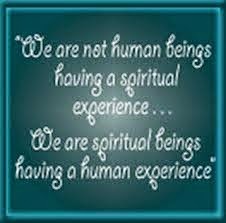 Both are important gifts to help learn and understand more about your inner core. I scares me that so many people listen to Rush Limbaugh. Ok I guess that what really scares me is maybe the little voice they hear agrees with his opinions? Your idea that along with listening to the inner voice, self discipline is key is very insightful. I agree with you 100%. I think your point about people's little voice agreeing with Rush Limbaugh being scary is right on the money. My immediate reaction is "how could they agree if they are really listening?" I don't think Rush himself believes half the stuff he says and he is the first to say, when confronted, "I am just an entertainer not a journalist" as if that excuses his nonsense. When he doesn't take himself seriously half the time, it is a shame that gullible listeners do. I am glad you like the blog and I hope you keep commenting.